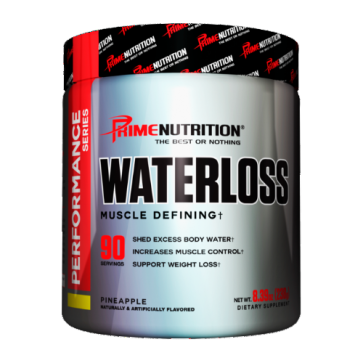 Waterloss from Prime Nutrition is one of the strongest dehydrating products available on the market. It has been shown that this highly effective and safe supplement eliminates water from the body, which contributes to the improvement of body shape. Waterloss can be used by both men and women who want to get rid of a few extra kilos in a short time. It is ideal for people who need immediate action during an important event. Athletes who are required to achieve a certain weight recommend the product as an excellent measure for rapid weight loss. 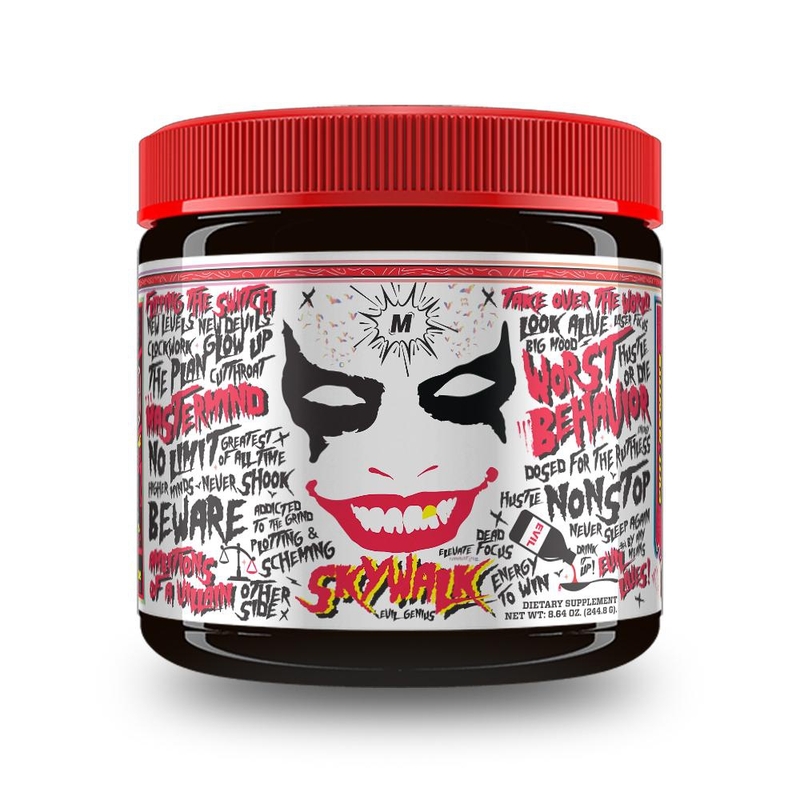 In particular, bodybuilders and fitness players will be delighted with the effects of the product because it effectively improves blood circulation and muscle hardness during competition. Waterloss, unlike dehydrating dangerous prescription drugs, is a 100% natural preparation with equally effective effects. Waterloss from Prime Nutrition is the most modern formula developed to increase muscle definition and promote slim figure. It helps to draw excess water from under the skin and into the intercellular water. Waterloss is easy to use and it tastes great! Just mix 1 portion with a glass of cold water and drink it any time of the day. Because Waterloss is completely free of stimulants, it can be successfully used in the morning or at night. For best results should consume up to 2 portions of the product. Waterloss is an unusual and versatile product that can be used by anyone who wants to look thinner. Waterloss contains 100% completely natural active ingredients to ensure not only impressive results, but also incredible effects that are free of side effects. Despite the fact that Waterloss is perfectly sugar-free. This makes it an excellent option for people who use a reduction diet. Equlsetum arvense extract - field horsetail, it is used to prevent swelling caused by water and electrolyte retention in the body. The plant is rich in flavonoids and silicon. Equisetum arvens increases the amount of urine excreted and effectively removes excess urate. It has a diastolic effect on the urinary tract, seals blood vessels and improves the work of the heart. In addition, it has detoxifying, anti-inflammatory and liver function. Thanks to the large amount of silicon, it makes the skin elastic and improves the condition of connective tissue and bones. It prevents the accumulation of fats in the blood vessels. Has a beneficial effect on the hormonal balance. Increases hemoglobin and anti-haemorrhagic effects. Phyllanthus amarus extract - Leafy is a widely used medicinal plant and is considered an effective diuretic. Phytochemical studies show the presence of many valuable substances such as: lignans, flavonoids, hydrolysable tannins, polyphenols, triterpenes and alkaloids. Plant extract has a wide antiviral, antibacterial, antimicrobial, anti-inflammatory, antibacterial, antineoplastic, antidiabetic, hypolipidemic, antioxidant, hepatoprotective and highly diuretic effects. Thanks to the use of the Phyllanthus amarus plant extract, you can easily get rid of excess water from the body and, additionally, you will have a protective effect on the body. Sophora japonica- Safora is a powerful tree resembling an acacia. The plant is widespread in the warm regions of our country. In traditional medicine, it is famous for its healing properties with a rich set of nutrients. In addition to the most important vitamins and microelements, sophora japonica contains a large amount of routine - the best ally of the cardiovascular system. Research has shown that flowers contain up to 30% of routine and the remaining parts of 17%. Rutin has a beneficial effect on the walls of blood vessels. Effectively strengthens them, makes them elastic, cleanses them preventing clogging, which prevents heart attacks, brain strokes and thromboses. In addition, sophora japonica reduces cholesterol and blood sugar, prevents anemia, prevents hypertension.